Throwing your rivals off the scent of gold is a sharp tactic, but it's risky business, as South African swimmer Chad le Clos found out last night during the final of the 200-metre butterfly event. Tension was high before the final in the aquatic centre in Rio last night. 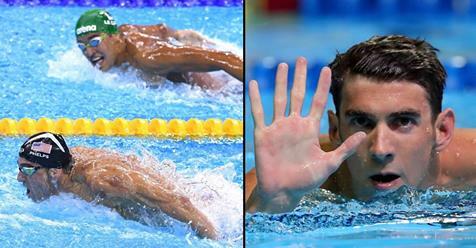 The established rivalry between le Clos and USA's Michael Phelps was, as expected, stronger than ever. After le Clos famously beat Phelps in London 2012, the battle for gold was on. Phelps recently came out of retirement in the butterfly because he didn't feel the field was very strong. Le Clos was pretty outspoken about Phelps' comments: "He's been talking a lot of smack in the media about how slow the butterfly is, so I just can't wait until I race him," backing this statement up by smashing Phelps' recent times: "I just did a 100m butterfly time that Phelps hasn't done in four years, so he can keep quiet now." Fair play. But that was the past. Surely then the race for the top spot on the podium would be between former Olympic Champion, le Clos, and the most decorated Olympic swimmer of all times, Phelps. No, that was not the case. Le Clos probably regrets provoking Phelps who looked focused, determined and ready for anything. Both Phelps and Clos swam in adjacent lanes. Phelps was in the zone and swam his own race, while le Clos took passing glances at the 20-time gold medallist as the distance between them grew as the race went on. Unfortunately for him, le Clos didn't have the edge on Phelps. In fact, in his bid to beat his rival, he didn't even make it into the medals. 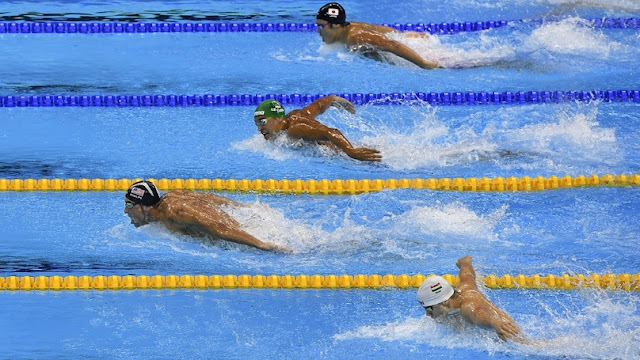 Masato Sakai gave Phelps a really close run for his money, while le Clos was le nowhere to be seen. It wasn't long before le Clos felt the burn! As the bitter sting of sports rivalry strikes again, we just want to remind le Clos that it's not the taking part that counts, it's the winning.